Create bold strokes like a graphite stick, with the clean control of a mechanical pencil. 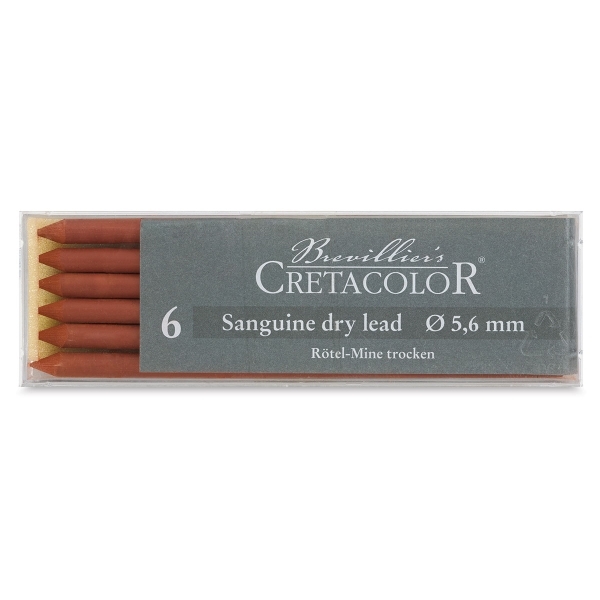 These extra-thick leads are designed for use in the Cretacolor Lead Holder. Each sharpened stick is made of fine quality pure graphite from Austria. Sanguine Dry is a traditional medium for sketching and drawing. It produces a dry, blendable, red/brown terra cotta color. It is recommended especially for combining with pastels and charcoal. Medium hardness.